For Christmas 2006, the V&A commissioned British fashion and homeware designer Jasper Conran to design the Museum's fourth Christmas Tree. 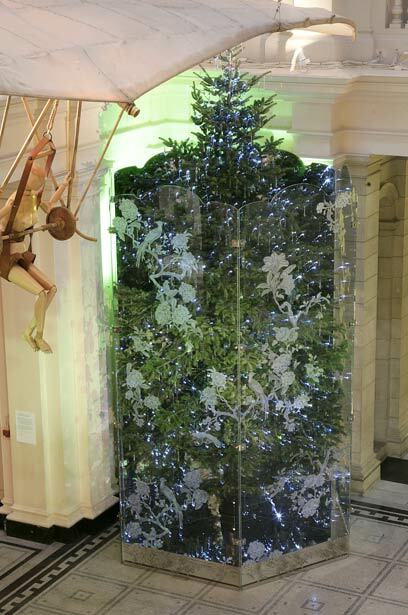 The six-metre high tree in the V&A's Grand Entrance was enchanting, decorated with 1000 crystal drops generously donated by Waterford Crystal and lit with emerald and aquamarine lights. 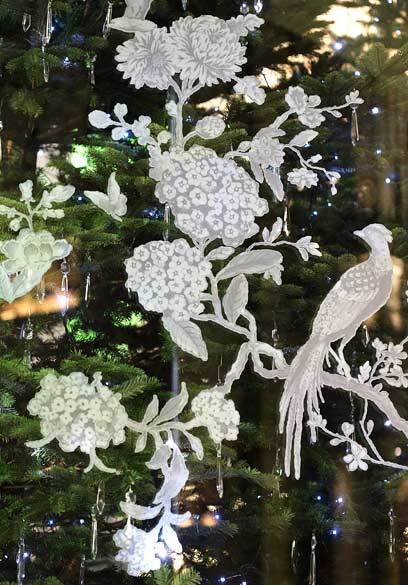 Clear screens etched with Jasper Conran's distinctive Chinoiserie motifs surrounded the tree. 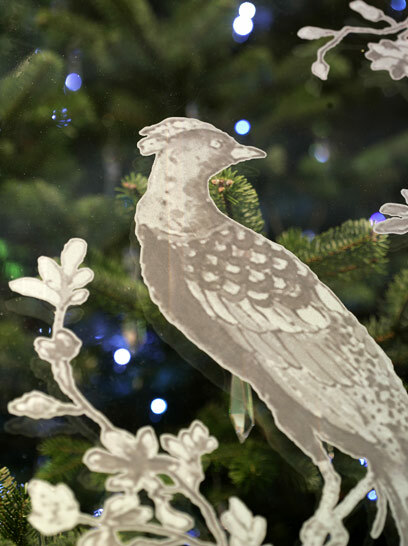 The Chinoiserie design used in the 'Jasper Conran at Wedgwood' fine bone china range was a key inspiration for the tree. 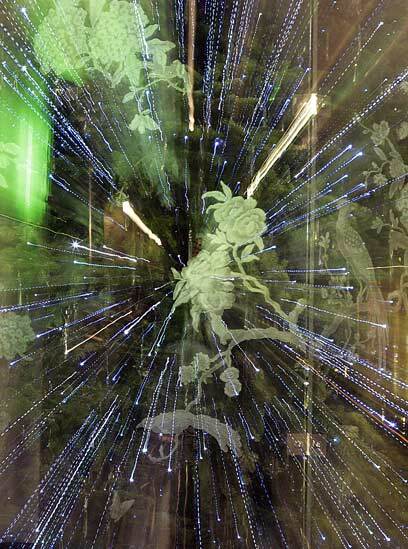 Christmas Tree 2006 (detail), Jasper Conran. 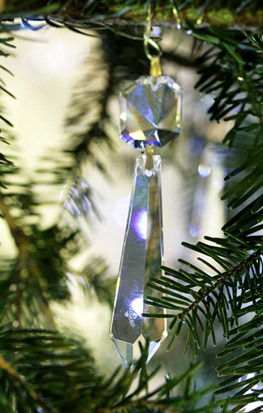 Decorated with 1000 Waterford Crystal drops and lit with emerald and aquamarine lights. Surrounded by etched clear screens with Chinoiserie motifs. 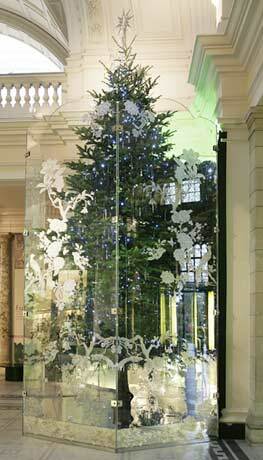 Christmas Tree 2006, Jasper Conran.